Nyaruko is the formless Lovecraftian-deity of chaos from Haiyore! Nyaruko-san. Taking the shape of a silver-haired girl she rescues Mahiro Yasaka from an alien trafficker and thus the story begins. As far as paint goes she is what you would expect from a figma with fine details, well executed and with no miss-paints. Her sculpt is also great and the reason I got her - the outfit is so cute. As for articulation she uses all the standard joints and as per usual in only a few places is her movement restricted by the sculpt. 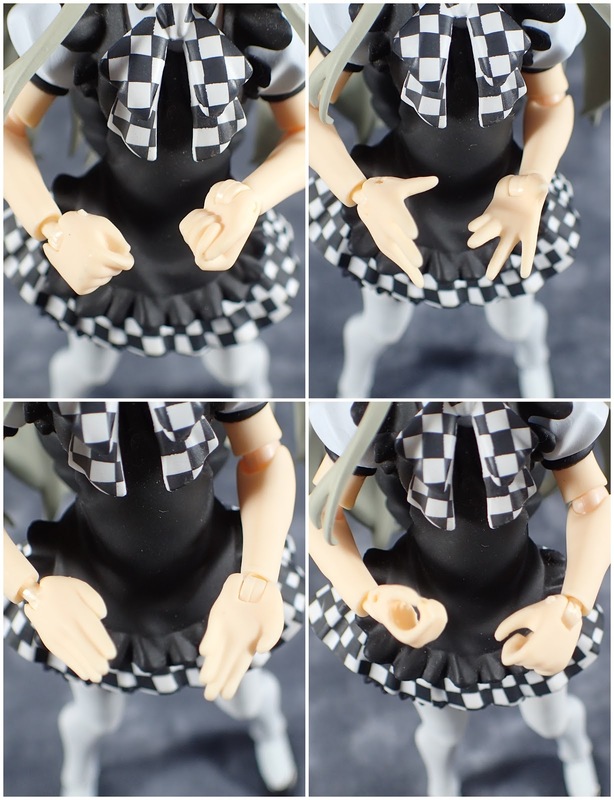 She cannot look up and her waist movement is somewhat limited but these are common problems with figmas. 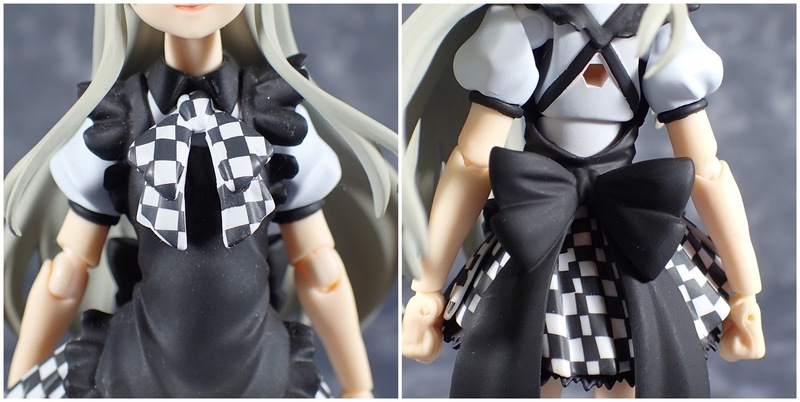 Nyaruko comes with three face pieces, the default smirking face , a happy winking face, and a shocked face? As for hands you get open hands as default, a pair of fists, a pair of relaxed hands, and hands for holding items. 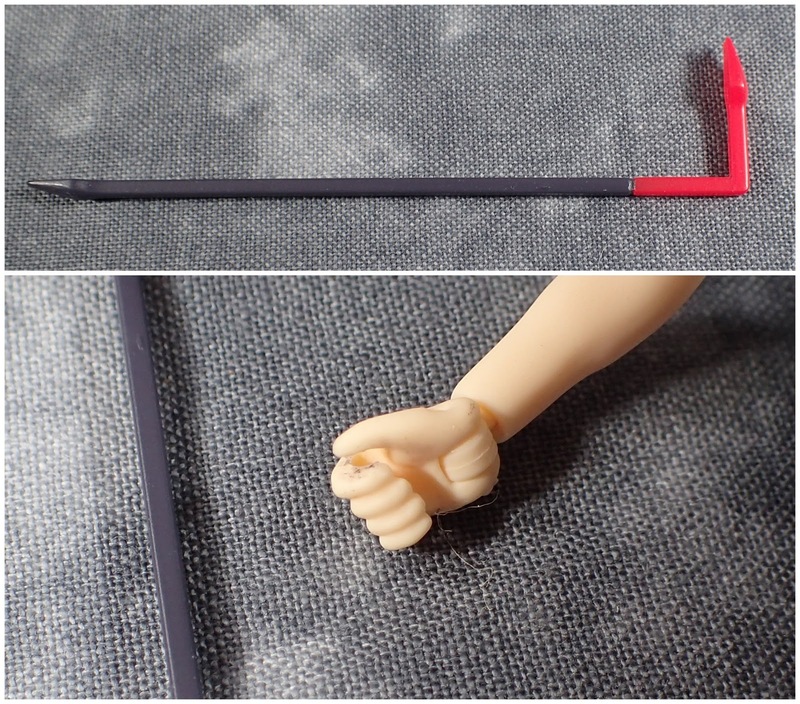 The Nyaruko also comes with a crowbar and a hand for holding it but I couldn't for the life of me get it into her hand. 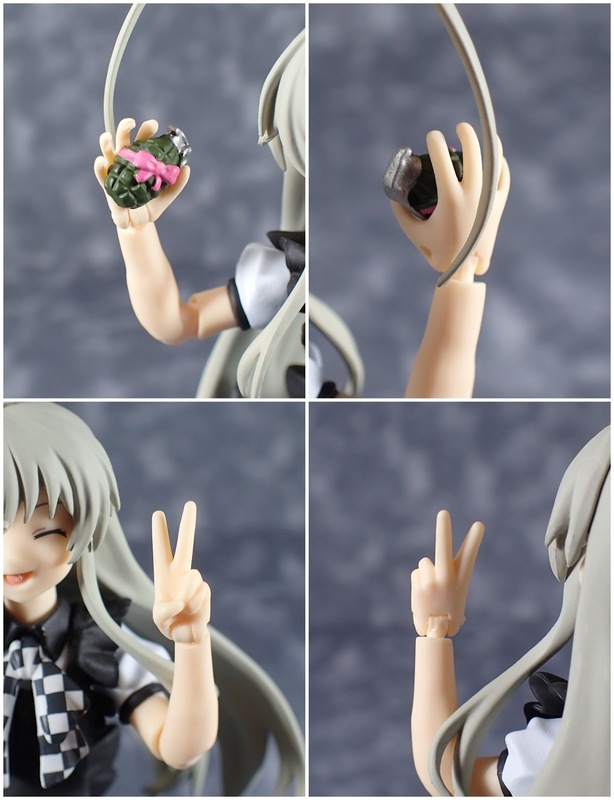 She also comes with a grenade and a hand to hold it and a victory sign hand. Overall I do really like this figure - however her hair is ridiculous but I picked her up with the sole purpose of using her outfit for one of my existing figures.